If your gums are sore or bleeding, your teeth are sensitive, and you suffer from chronic bad breath, you might have periodontal disease (gum disease) -- but don’t worry. QC Family Dentistry is here to help! You might be surprised to learn that one out of every three patients needs a deep cleaning, to remove the calculus (tartar) buildup underneath the gums. Once the calculus is removed, the bleeding gums and bad breath are also gone. Here at QC Family Dentistry, we have five full-time dental hygienists who are all fully-qualified in deep cleaning -- which means there’s no need to go to a separate practice. Our dental hygienists are also trained to administer local anesthesia. They will be able to numb you completely for the deep cleaning so you won’t be in any discomfort. 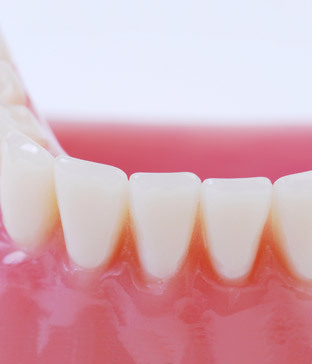 If you have any concerns about the health of your gums, please let us know, and we’ll be happy to evaluate them. If you need more information about Periodontics in the Quad Cities, contact us today.